In 2012, when Jason Barnes was cleaning the exhaust vent of a restaurant, 22,000 volts of electricity went through him and should have killed him. His next memory was waking up badly burned in a hospital. Like his dad, he was a musician and had been since he was a child. While his dad played the guitar, Jason played the drums. So, it was with a heavy heart that after a half dozen surgeries, Jason was forced to agree with his doctors that his right hand needed to be amputated. That should have been the end of Jason’s musical history. But, after he returned home from the hospital, Jason taped a drumstick to the bandage on his stump and started drumming again. Later, Jason created his own prosthetic arm in an attempt to be able to play the drums better. He was accepted into the drumming program at the Atlanta Institute of Music in 2013. 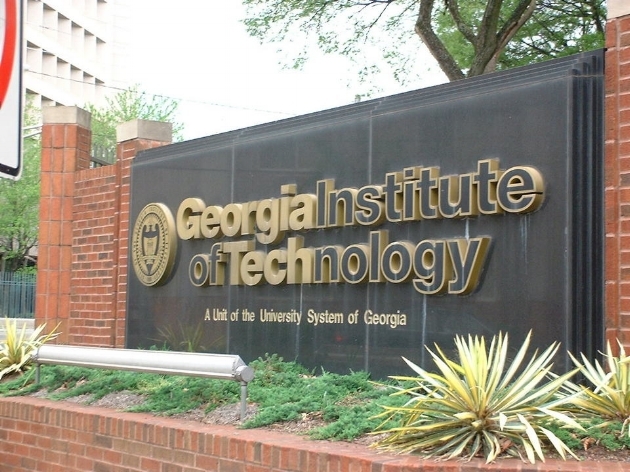 His music teacher, Eric Sanders, was intrigued with what Jason had accomplished and showed him a music video of some work done by an engineer named Gil Weinberg from the Georgia Tech Institute for Robotics and Intelligent Machines. Gil had been developing robotic musicians--robots which ‘listen’ to music and improvise an accompaniment to go with the music which is being played. Jason’s curiosity got the better of him, and he emailed Gil to see if they could work together. 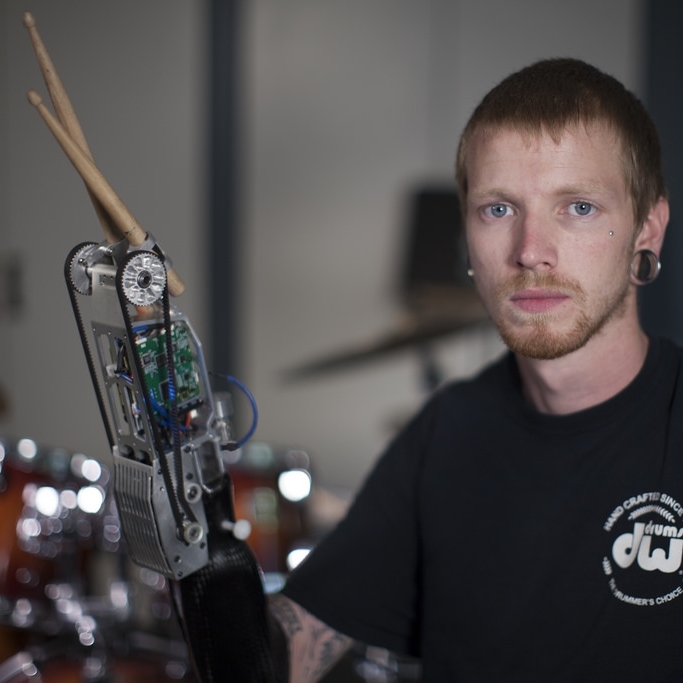 They collaborated and created a robotic drumming arm, a myoelectric unit which relies on Jason’s muscles and grip, but also ‘listens’ to what Jason is playing with his other hand and what other musicians are playing, and improvises. So, the arm ended up having two sticks--one which is controlled by Jason, and the other, which either composes or is controlled by the compositions which are fed into it. The result is a great deal of complex hardware--all owned by Georgia Tech. Now, Jason has started a kickstarter fund, so he can not only have a portable bionic drumming arm, but also be able to go play on tour with other musicians--which, because of Georgia Tech’s current policies, he currently isn’t able to do. The accident which nearly killed him, as it turned out, was only the beginning. Jason has become the fastest drummer in the world, and he’s ready to take it out of the lab and on the road. His musical career is just starting, and he is determined to make it even better. You can see some of Jason’s playing, and even him playing the piano with a ‘Skywalker Hand’, here.